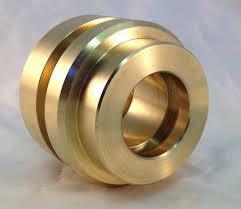 Hitesh steel specializes in marine grade alloys. Whether you are building fast ferries, navy or passenger ships, yachts, or small pleasure craft we maintain a large inventory of sheets, plates and extrusions in 5083, 5086, 5454, 5052 and 5456 alloys to meet your needs. 5083 aluminum alloy – supplied in sheet marine grade tempers h116, h321, h323; to spec astm b928. Temperso, h112, h32; to spec astm b209, and extrusion shapes in various tempers and specifications. This is an excellent marine environment corrosion resistant aluminum alloy, commonly used in europe and asia but becoming more frequently used in north america. It is primarily an alloy used for its corrosion resistant properties as it is especially good on inter granular corrosion resistance. Also, the tensile and yield strength is higher than 5086 alloy, so often these properties too are used by designers for their aluminum vessels. This alloy also has good welding capabilities for fabricating vessels. 5083 is also in inventory as h32 temper which is a good standard engineering alloy, but it does not have the corrosion resistance of the other special marine tempers. 5086 aluminum alloy – supplied in marine grade tempers h116, h321; to spec astm b928. Tempers o, h112, h32; to spec astm b209, and extrusion shapes in various tempers and specifications. This is an excellent marine environment corrosion resistant aluminum alloy, most commonly used in north america. It is also a marine grade alloy used for its corrosion resistant properties as it is also very good on inter granular corrosion. The benefits this alloy brings over standard alloys such as 5052 or 6061 is the corrosion resistance and better welding capabilities and good forming properties. 5086 is also in inventory as h32 temper which is a good standard engineering alloy, but it does not have the corrosion resistance of the other special marine tempers. 5456 aluminum alloy – this alloy is primarily used in areas where high strength and better welding parameters are required in a marine vessel or other engineering applications. Alloy 5456 is stocked in tempers h116, h321; to spec astm b928. Tempers o, h112, h32; to spec astm b209 this alloy has higher tensile strength than other marine alloys such as 5083 or 5086, and good corrosion resistance in a sea water environment, but not always the formability and corrosion performance of some of the other alloys. 5454 aluminum alloy – this alloy is primarily used in areas where good formability is required, it is used in o, h112, h32, h34;to specification astm b209 tempers and is an excellent choice for large pressure vessels and certain marine fabricated products. The formability is at its best in the soft 0 temper, but also sometimes used in h32 or h34 tempers too. However the strength and corrosion resistance are not always as good as other alloys, so as always a marine structural engineer should be consulted for each application. 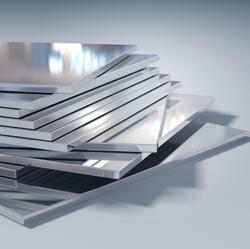 5052 h32 – sheet & plate – a common alloy with good strength and weldability and it is easy to form and fabricate. However, not always considered a true marine alloy. 6061 t6 sheet & plate – a heat treated alloy with higher strength used in many general engineering. Applications. However, again not considered a true marine alloy. Our company is able to supply Aluminium Sheet 1100 in the country. Aluminium checker plate is widely used in decorative, shipbuilding and architectural applications. Having good forming, drilling and welding ability, aluminum diamond plate is easy to fabricate and its raised diamond lug pattern provides good slip resistance. 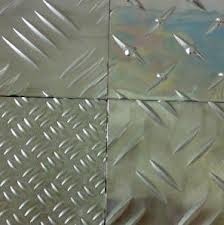 The aluminium chequered plate we supply is extensively used in the industrial sector. Aluminium chequered plate are in deamnd owing to their long life, excellent performance and dimensional accuracy. Clients can obtain aluminium chequered plate within an agreed time frame at rock bottom prices. Besides, the sections are available in all types of alloy & temper and can be supplied as per customized specification. These aluminum checkered plates offered by us have high ductility and can be easily molded to transform the sheet metal into different shapes to be used for a large variety of finished parts. The sheets available with us find its wide application in various industry segments such as food processing for making cans, automobiles for making different products. 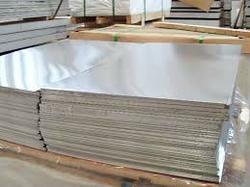 We deliver aluminum plate grade 53000 / 5086 and also in many different grades like 6082 , 6061, 6063, 2014 , 5052 etc. Aluminum checker plate is widely used in decorative, shipbuilding and architectural applications. Having good forming, drilling and welding ability, aluminum diamond plate is easy to fabricate and its raised diamond lug pattern provides good slip resistance. Aluminium bronze is a type of bronze in which aluminium is the main alloying metal added to copper, in contrast to standard bronze (copper and tin) or brass (copper and zinc) . A variety of aluminium bronzes of differing compositions have found industrial use, with most ranging from 5% to 11% aluminium by weight, the remaining mass being copper; other alloying agents such as iron, nickel, manganese, and silicon are also sometimes added to aluminium bronzes. This specification covers an aluminum alloy in the form of hand forgings and rolled rings. These products have been used typically for structural parts subject to warpage during machining, but usage is not limited to such applications. Product may be welded in the -t852/-t851 condition but properties are improved by re-heat treatment to -t6 temper after welding. Aluminum bronze rings are also one of the most special kind of materials of our company which we have exclusively manufactured uing top grade raw materials. These rings are made up of the alloy of aluminum and bronze which makes it tough, tensile, corrosion free and shinning. These aluminum bronze rings are used for various industrial and mechanical purposes. Hitesh steel produces a vast range of aluminium sheet for marine, industrial, commercial, domestic and designer applications. Hitesh steel is among the advance guard of a new technology improvements in aluminium metallurgy, quality, and finish promise to revolutionise this industry. Aluminium is also a popular metal used in sheet metal due to its flexibility, wide range of options, cost effectiveness, and other properties. The four most common aluminium grades available as sheet metal are 1100-h14, 3003-h14, 5052-h32, and 6061-t6. Grade 1100-h14 is commercially pure aluminium, highly chemical and weather resistant. It is ductile enough for deep drawing and weldable, but has low strength. It is commonly used in chemical processing equipment, light reflectors, and jewelry. Grade 3003-h14 is stronger than 1100, while maintaining the same formability and low cost. It is corrosion resistant and weldable. It is often used in stampings, spun and drawn parts, mail boxes, cabinets, tanks, and fan blades. Grade 5052-h32 is much stronger than 3003 while still maintaining good formability. It maintains high corrosion resistance and weldability. Common applications include electronic chassis, tanks, and pressure vessels. Grade 6061-t6 is a common heat-treated structural aluminium alloy. It is weldable, corrosion resistant, and stronger than 5052, but not as formable. It loses some of its strength when welded. it is used in modern aircraft structures.